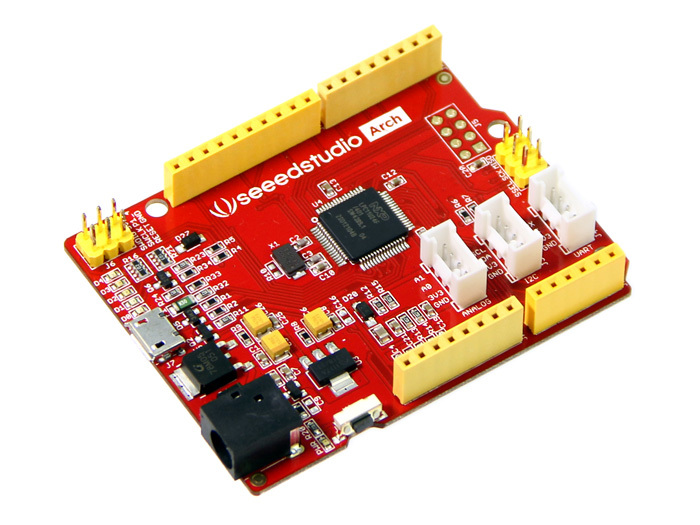 Arch is an mbed enabled development board which combines the advantages of mbed and Arduino. With Arch, you can use mbed C/C++ SDK, libraries and online development tools to rapidly build a prototype. Arch has standard Arduino appearance and Grove connectors. It’s convenient to extend Shield and Grove products to Arch.